With the cost of planning and prepping for your wedding day quickly escalating, you might be tempted to hunt for a bargain (and who could blame you) and cut corners in order to keep your budget under control. This is totally understandable as many couples are caught out just by underestimating how much their wedding will end up costing. While it might seem contrary to some, wedding insurance can end up saving couples money should the unforeseeable happen. It could be something relatively small like minor damage to hired equipment or furniture used for the ceremony or reception, to something that could potentially cost thousands of dollars, like the rescheduling of the whole wedding day due to the venue being destroyed in a freak storm the night before. However, don’t be tempted to go with the first wedding insurance provider you come across in Google or get sucked into taking out cheap wedding insurance without doing your homework (especially as the right policy might not actually cost that much more). What a wedding insurance policy will cover (or exclude) will vary considerably, as will the limits, from one plan to another, as well as from one provider to the next. Also, don’t just opt for the lowest level of coverage just because its cheap without considering exactly how much you could stand to lose or how much you could afford to cough up, should things not go plain sailing leading up to, and on, the big day. To ensure you have the right insurance policy with the appropriate level of cover, go through your list of expenses vs. items covered within a basic plan e.g. venue, attire, wedding car, marquee etc. 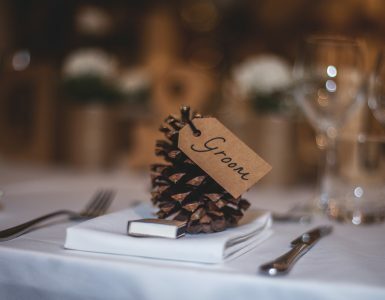 Check with your suppliers/vendors such as reception venue, car hire company or caterer to see if they are covered and how well they are covered. You might find that they may already have their own insurance so there could potentially be an overlap in coverage. To ensure that you’re not paying out for something already taken care of, ask your supplier for the details of their insurance policy so you can cross reference it with yours and figure out what the gaps are where you aren’t fully covered. Make sure these gaps are then addressed when go to purchase your policy. Also, ensure that the level of coverage is akin to the value of key items or the most you can afford to lose or pay out if something goes wrong. It’s worth mentioning again that the limits for each item covered under the policy will vary considerably between different plans and between each provider. Be sure you are happy with the maximum limits as you’ll have to fork out anything above the limit from your own pocket. If you can afford to do so then this might not be a problem, but many couples’ budgets are maxed out and often exceeded so they won’t be able to pay out for any further expenses. Whilst a cheap wedding insurance policy might initially look like it will do the job, it could potentially end up costing you more. When you could easily be spending tens of thousands of dollars for your wedding, it makes sense to consider spending a little extra, from as little as a couple hundred of dollars and a relatively small amount, to ensure that you are protected. Not only will the money you have already spent and deposits you have already paid be safeguarded, the right policy (which doesn’t need to be expensive) will also allow you to pay for any problems that might have yet to occur. And last but not least, you’ll have peace of mind which should allow you to relax a little and enjoy the experience of your special day.